Our expert selection process (and Jouer Cosmetics' superlative make up-meets-skin care wizardry) has triumphed yet again. 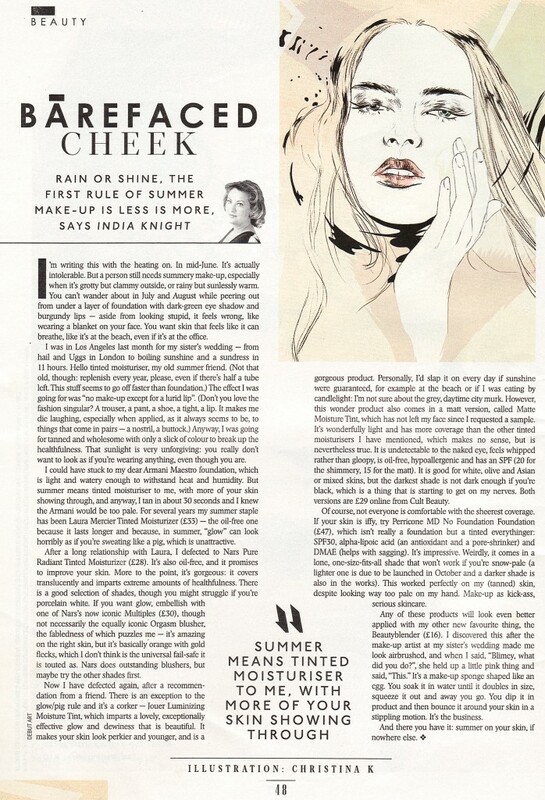 The Sunday Times Style's India Knight sang the praises of both Matte and Luminizing Moisture Tint last Sunday... and we can't say we're surprised. We've been devoted to the Luminizing formula for years and never thought we'd cheat, until we launched its' Matte sister last autumn. Decisions, decisions decisions. So if you haven't already discovered Jouer's unparalleled complexion perfection prowess, there's no need to simply take our word for it... trust India Knight instead (who certainly knows a good thing when she sees it). "There is an exception to the glow/pig rule and it's a corker - Jouer Luminizing Moisture Tint (left), which imparts a lovely, exceptionally effective glow and dewiness that is beautiful. It makes your skin look perkier and younger, and is a gorgeous product. I'd slap it on every day if sunshine were guaranteed, for example at the beach or if I was eating by candlelight: I'm not sure about the grey, daytime city murk." "However, this wonder product also comes in a matte version, called Matte Moisture Tint (right), which has not left my face since I requested a sample. It's wonderfully light and has more coverage than the other tinted moisturisers I have mentionted, which makes no sense, but is nevertheless true. It is undetectable to the naked eye, feels whipped rather than gloopy, is oil-free, hypoallergenic and has an SPF (20 for the shimmery, 15 for the matte)." Is it possible to purchase samples?